My annual tasting at Vietti typically encompasses 20+ Barolos from all of the vintages that are in barrel plus one or two in bottle. Year in year out, this is one of the most fascinating and educational tastings I do, as the wines are always incredibly representative of their respective vintages and terrains. The focus of this article was originally intended to be a close look at the individual component wines in the 2007 Barolo Castiglione, but all of Vietti’s 2007s are so extraordinary it seemed a shame to leave them out. I can’t think of too many estates in Piedmont that have raised the bar higher than Vietti has over the last decade or so. Virtually every wine that emerges from these cellars is outstanding, and many are profound. Winemaker Luca Currado, his brother-in-law Mario Cordero and their staff have taken the early groundbreaking work of Alfredo and Lucia Currado and built upon those successes, reaching an unprecedented level of consistency and quality across their entire range. Vietti is the only estate in Piedmont to own vineyards in all eleven of the Barolo-producing villages. Many of the parcels are located in the region’s most historic and pedigreed sites. Currado crops his vineyards to low yields and is typically one of the earliest producers to harvest. All of the Nebbiolo vineyards are farmed, vinified and aged with the intent of making Barolo. Fermentation takes place in stainless steel. The wines are then racked into French oak barrels for the malolactic fermentations and finally moved into casks for aging, all of which vary from vineyard to vineyard. For example, of the single-vineyard Barolos the Brunate sees the shortest period of contact on the skins, the Rocche the longest. 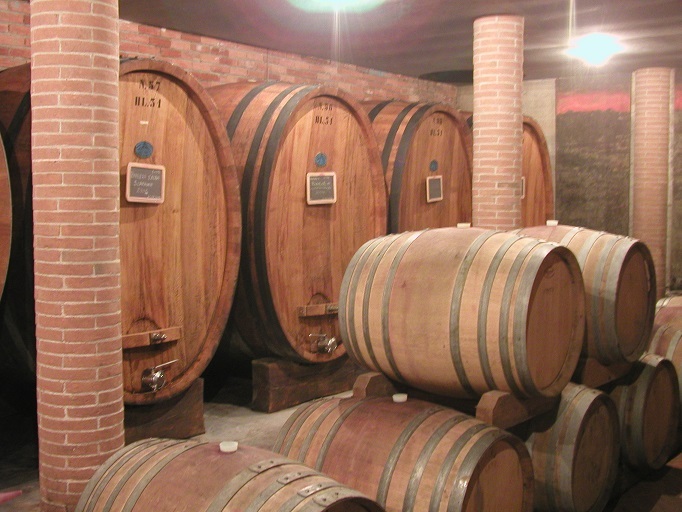 Similarly, the Lazzarito generally spends 3-4 months longer in French oak than the other Barolos. Prior to bottling, all of the individual lots are tasted and divided into three distinct selections according to quality. The third and most basic selection goes into the Langhe Nebbiolo Perbacco, a wine that Luca Currado created with the intention of offering an affordable, entry-level Nebbiolo. Perbacco is a Barolo in everything but name….and price tag. All of the fruit from these Barolo-designated vineyards is vinified and aged in the same fashion as the more important parcels in the estate’s collection. With just one more month in bottle prior to being released, Perbacco could be entitled to carry the Barolo DOCG. At roughly $25 retail, it is one of the finest values readers will come across from any region. The just-bottled 2007 Langhe Nebbiolo Perbacco offers up generous fruit along with menthol, spices and hard candy, showing notable intensity while retaining an essentially mid-weight style. Round, suave tannins add to the long and refined finish. This is a wonderful vintage for Perbacco. In 2007 Perbacco is made from parcels in Bricco Boschis, Ginestra and Mosconi (aged together), Liste, Brunella, Crocetta, Pernanno and the youngest vines in Fossati, Ravera (planted in 2000) and Scarrone (planted in 2003). I tasted the 2007 Perbacco from tank in its final blend just prior to bottling and then a few days after it was bottled. Both times it was outstanding. The estate’s second selection goes into the Barolo Castiglione, a wine that has shot up in quality in dramatic fashion over the last few years. Up until the 1960s Barolos were typically made from fruit sourced from multiple villages, with the goal of combining the strengths of several sites, an approach that is seldom used today. Vietti’s Barolo Castiglione is one of the few remaining Barolos still made from a variety of vineyards across a number of communes. In a typical vintage the Castiglione includes fruit from Bricco Fiasco, Bricco Boschis, Ravera and Ginestra, all important vineyards in Barolo. Over the last few years, Currado has become even more selective, choosing only the best of his ‘second-tier’ vineyards for the Castiglione. The results are striking. Readers will note that many of the vineyards used for the Barolo Castiglione are well-known; in fact they are often bottled as single-vineyard selections by other growers. Tasting through the wines it is clear at least some of these parcels could easily stand on their own. Currado contends that while that may be true in some years, generally the vineyards selected for Perbacco and the Barolo Castiglione aren’t exceptional in every vintage, whereas his grand crus Rocche, Brunate and Lazzarito almost always are. The Barolo Riserva Villero is a bit of a separate discussion, as it is only bottled when Currado feels the wine is truly special, something that has happened just seven times between 1982 and 2004. In every other vintage the Villero has gone into the Barolo Castiglione. The 2007 Barolo Bricco Fiasco (Lot 30), from one of Castiglione Falletto’s most famous vineyards, is off the charts. The wine possesses dazzling richness and power in its dark fruit, smoke, menthol, tar and licorice. Quite simply, this is amazing juice! The 2007 Barolo Ciabot Berton Rochettevino (Lot 15), from the Santa Maria district in La Morra, is the prototypical Nebbiolo suited for blending. The aromatics are expressive and the silky tannins convey the essence of La Morra, yet this particular wine can’t stand on its own. The 2007 Barolo Ravera (Lot 22), from vines planted in 1968, contributes dark fruit and plenty of structure, but it too is among the wines that clearly is best suited to a blend. 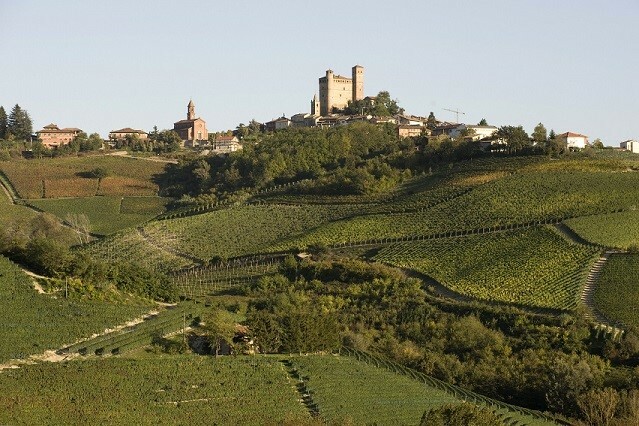 It is hardly surprising that after several attempts at a single-vineyard bottling, Vietti decided to go back to using the fruit from this vineyard for their Barolo Castiglione. The 2007 Barolo La Brunata (Lot 27), from the famed Brunate vineyard that straddles Barolo and La Morra, is a wine that in this vintage could unquestionably be bottled separately. The aromatics are incredibly expressive, and there is plenty of the dark, brooding fruit that defines this historic site. This is a gorgeous wine! The 2007 Barolo Bussia (Lot 14) is a bit simple, with pretty fruit and spiced, mentholated notes that add complexity. Taken by itself, though, this is a surprisingly simple Barolo. The 2007 Barolo Bricco Ravera di Monforte (Lot 17) seems to be mostly about structure and acidity, two qualities that the wines of Monforte are well known for. 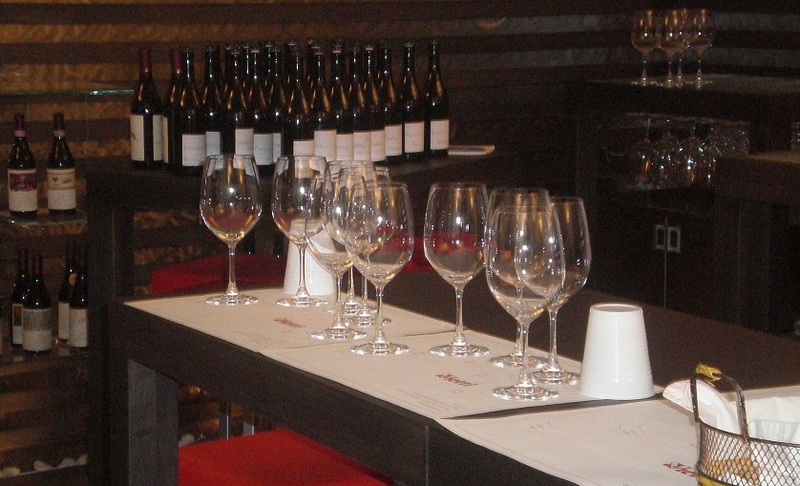 Here, too, the wine is clearly best as a component in a blend rather than on its own. I loved the 2007 Barolo Scarrone (Lot 18), from a vineyard just below the winery. These vines were re-planted in 1998 with new Michet clones sourced from the University of Torino. The Scarrone is a massive, powerful wine bursting with structure, richness and density. Vietti will be faced with an interesting decision when these vines are older, as the wine is so intriguing (at least in this vintage) that it would be fascinating to see what might happen with a single-vineyard bottling. The 2007 Barolo Fossati (Lot 29) shows good depth and richness in its dark red fruit. This is another wine that is excellent – but not outstanding – on its own. The top selections Rocche, Brunate and Lazzarito are bottled virtually every year with the exception of harvests that are disastrously poor such as 2002, when Vietti did not produce a single bottle of Barolo. Year in year out, these are some of the greatest single-vineyard Barolos for their transparency to site and ability to improve in bottle for many years. Vietti’s 2007 Barolo Rocche possesses dazzling perfume, tons of fruit, plenty of supporting structure and exceptional overall balance. Not surprisingly, it is shaping up as one of the vintage’s most promising Barolos. The estate’s 2007 Barolo Lazzarito reveals its dark, brooding personality in an intense expression of black fruit, smoke and tar. Still quite primary, the Lazzarito shows great potential and is without question the most improved Barolo at Vietti. The 2007 Barolo Brunate shows slight signs of reduction that are consistent with a wine at this stage of its evolution. The sheer depth of fruit is thrilling, though, and the wine’s sensual personality is captivating. As of today, it is likely Vietti will bottle their 2007 Barolo Villero as a Riserva, which is hardly surprising given the quality of what is in the glass. This is perhaps Vietti’s most layered and intensely mineral-driven Barolo in 2007, with an expansive texture that blossoms on the palate with tons of aromatic complexity and virtually endless fruit. It, too, is shaping up to be a beauty.